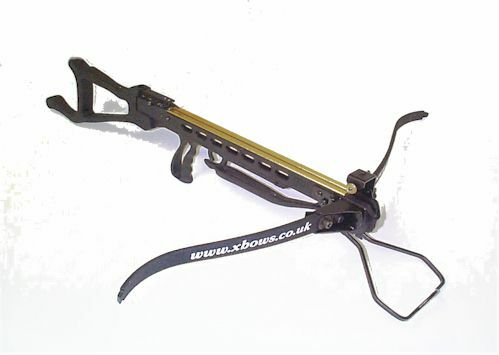 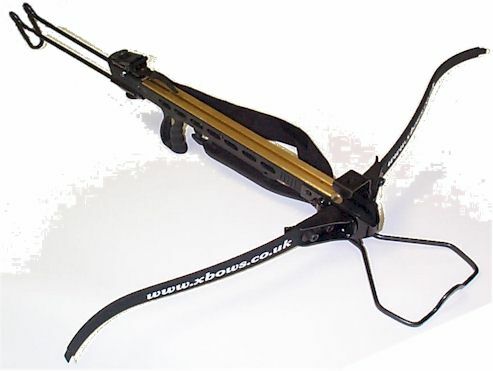 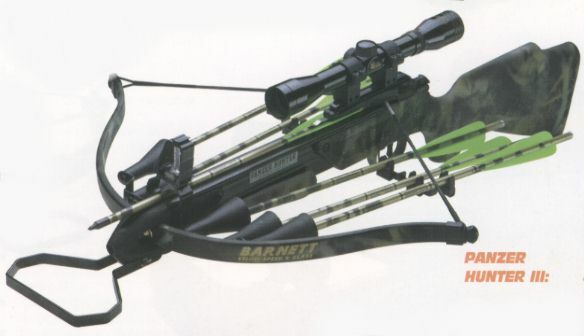 Regular crossbow, draw weight 120lbs, fibreglass bow, 2 aluminium arrows, adjustable sights, auto safety catch, foot claw foe easier cocking. 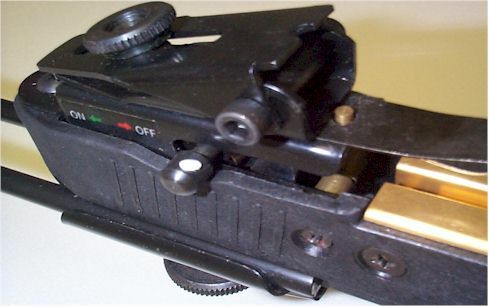 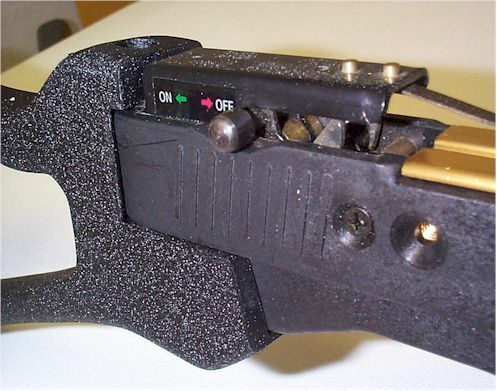 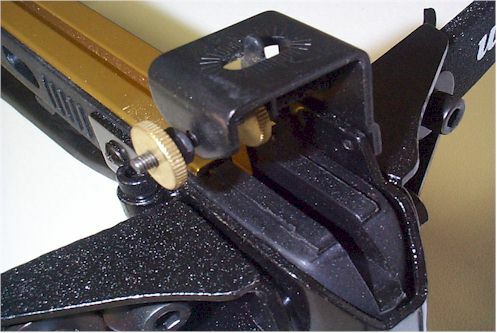 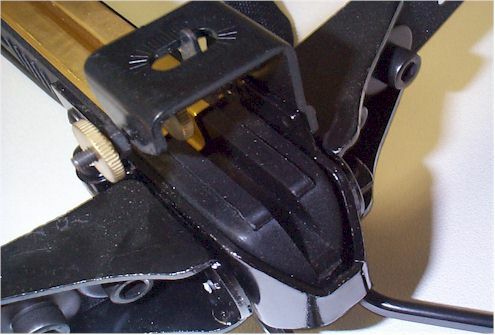 trigger mechanism and track design. 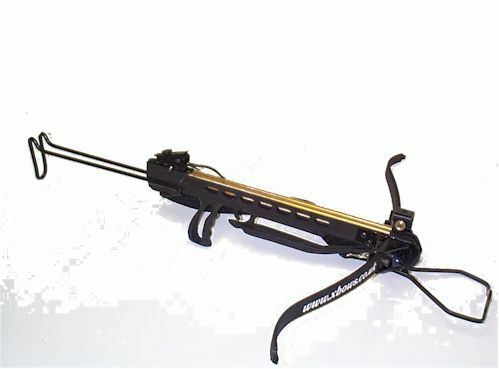 Add to this the Analogue pre-programming system, Velocispeed limbs, and you've got optimum recovery performance with any of these world famous names. 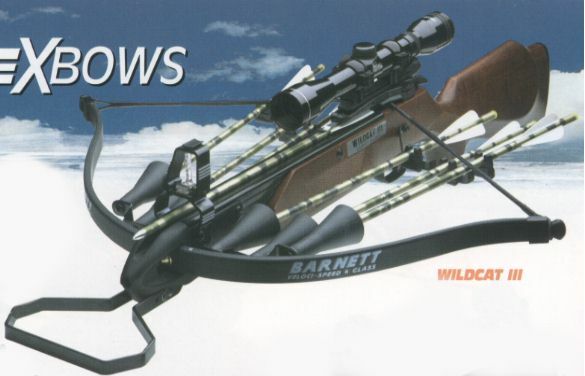 Wildcat 3 crossbow Warm sculptured beechwood stock, multi reticule adjustable foresight and rear peepsight complete this truely remarkable world renowned package now in its third decade of success. 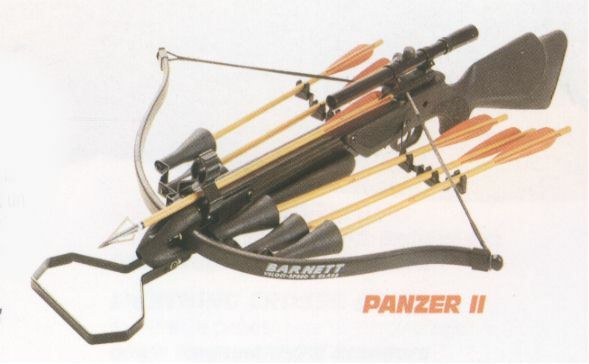 Panzer 3 crossbow Ambidextrous polymer stock, adjustable foregrip, multi reticule adjustable foresight and rear pin sight ensure that the Barnett panzer 3 crossbow lives up to it's famous name. 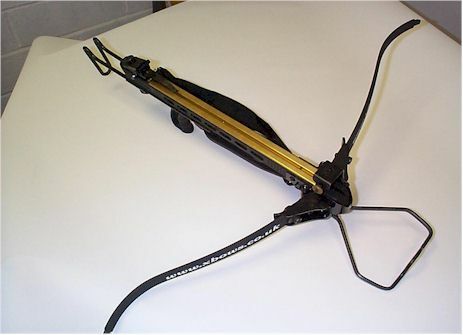 Panzer 2 crossbow, agreat introduction to crossbow shooting. 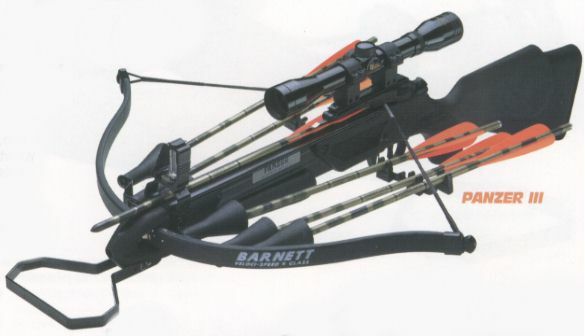 Whilst not carrying all of the "new generation" features this value for money crossbow offers all you would expect from Barnett-Direct pull trigger mechanism, iron adjustable rear sight, post foresight and polymer stock.